I figured out what my next project is! Yay! 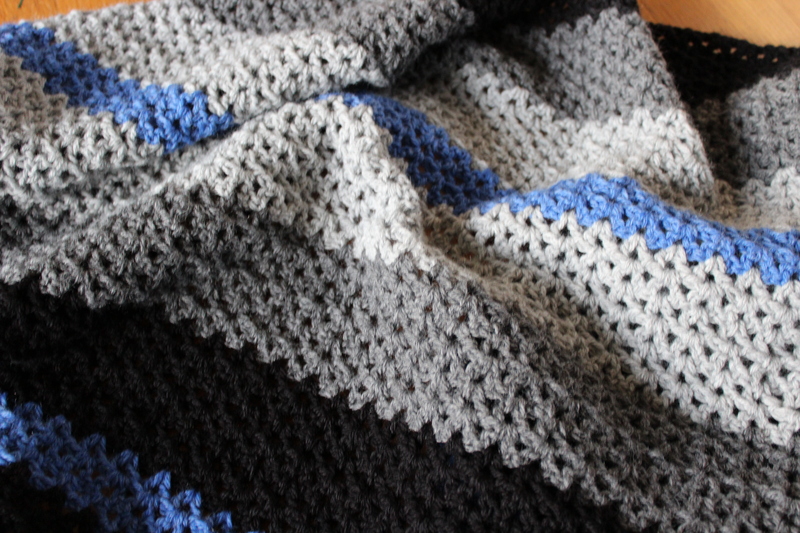 It’s a simple, stripey, crochet blanket. I haven’t crocheted in a long time, and I haven’t made a blanket in years, so I figured it was about time. 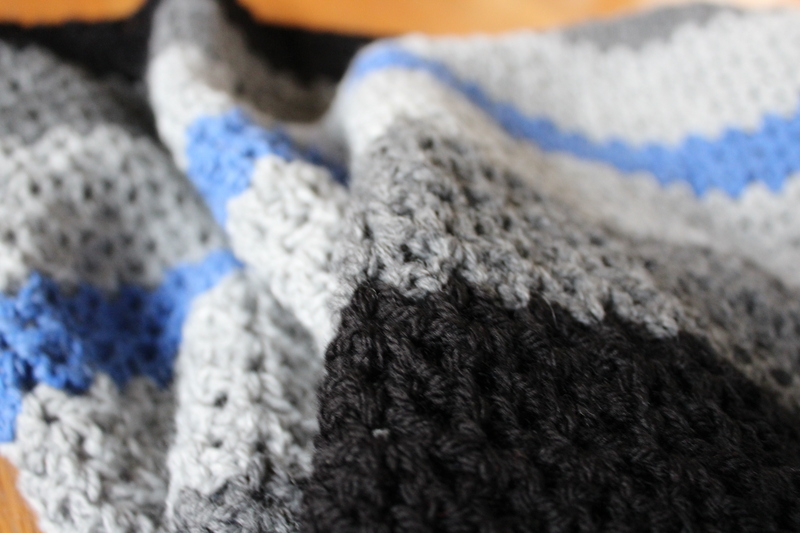 I love crocheting blankets, even more than knitting them. Crochet goes so much faster than knitting, is much thicker (in other words, cozier) than knitting, and you don’t have to worry about it rolling up on you like stockinette. It’s really the best thing for blanket-making. Do you ever dabble in crochet? This entry was posted in On My Needles and tagged afghan, blanket, crochet, crochet blanket on January 15, 2018 by onemilljellybeans. Really love those colors, great job! I do crochet a bit, for the same reasons–faster, cozier and a nice switch when I need to feel that I finished a fast project. I always have plans for fancying-up my stash… but it hasn’t been done yet! Some day, I’m sure.